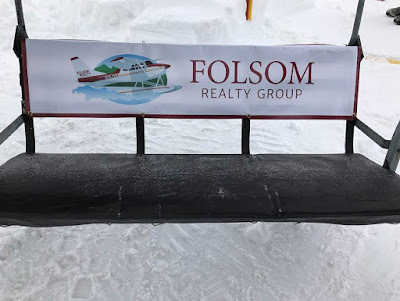 Banners.com had a customer who used a vinyl banner to advertise for their Realty business on a chair lift. Thank you for sending us over the picture! What a great way to advertise for your business! If you have a business and need some advertising banners, visit our advertising banners page. You can customize a template in our online designer, upload your own artwork file, or work with one of our graphic designers!